Dry rot is one of the most destructive forms of property damage, affecting both older homes and new construction. Making a positive identification of this particular type of fungus is the first step in doing something about it. 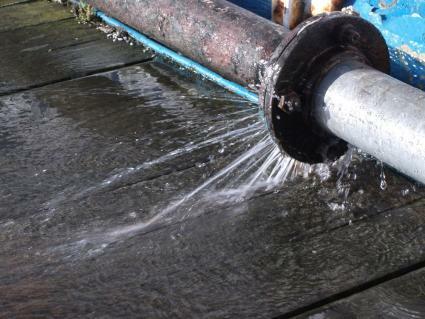 Contrary to what the name implies, dry rot requires moisture to proliferate. Like the various forms of wet rot, dry rot is a fungal organism that causes wood to decay to the point of losing all structural integrity. 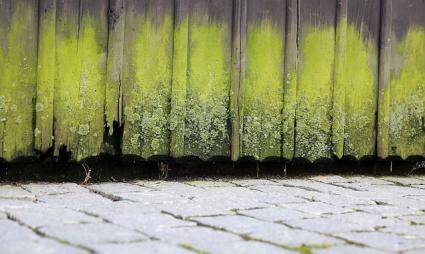 What separates dry rot from wet rot, however, is the ability of the fungus to spread far beyond the source of moisture. The mycelia of the dry rot fungus can actually transport moisture from its point of origin throughout the entire structure of a home or other wooden building. For this reason dry rot tends to cause much more extensive damage than wet rot, which is restricted to the vicinity of the source of moisture - such as a leaking roof, leaky pipes, condensation on pipes, moisture wicking up into wood from where it touches the soil, excess humidity etc. 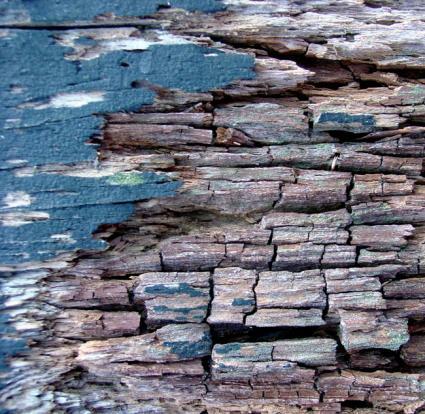 Dry rot requires wood to live, but has the incredible ability to migrate over metal, masonry, drywall and other common surfaces found in buildings, as well as through the soil. 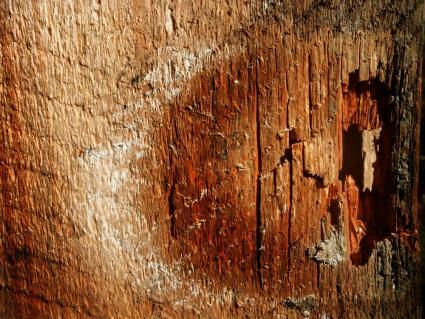 Wood that has been damaged by dry rot is crumbly and characterized by breaking apart in long polygonal shapes. It also has grayish coating on it that can be scraped off with a fingernail. The fungus that causes the damage has several identifying characteristics depending on the stage of its life cycle. These physical symptoms are unlikely to be found anywhere that is exposed to sunlight and are often seen on the underside of the floor or inside walls, except in extremely humid locations. Fortunately, there are ways to stop dry rot from advancing to consume your house, but the earlier you detect its presence the better. As soon as you see anything that could possibly be dry rot, call a specialist for an inspection and to determine the best course of action.